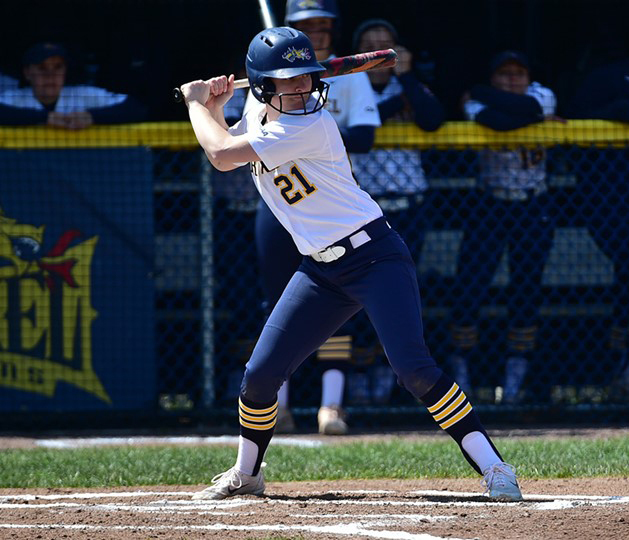 In this week for the Drexel University softball team, the Dragons started off pretty rocky by losing an entire series to Hofstra University April 21 in a doubleheader and the following day in a single game. However, they bounced back, winning a doubleheader against Lafayette University April 24. Hofstra started off strong with a home run in the first inning. Drexel held them off for the next two innings before Hofstra struck again, this time with two additional home runs. Things didn’t get any better in the fifth, when Hofstra scored six runs to induce the run-rule against the Dragons and end the game at 9-0. The Dragons returned for the second game, but their luck was the same. The Pride started off with two runs in the first inning and a run in the second, bringing their lead to 3-0. In the third inning, Hofstra scored another six runs, increasing their lead to, yet again, 9-0. This, however, did not stop the Dragons. They scored one run in the fourth and did the same in the fifth. Freshman Jenelle Ladrido hit a sacrifice fly to get freshman Emma Dryden across the plate in the fourth, and sophomore Hannah Walker hit a single to drive in freshman Holly Bridgman. This however was the extent of Drexel’s scoring, leading to a loss of 11-2. In the third game of the series, Hofstra started off hot once again, this time getting to a 5-0 lead in the first inning. A two run single, followed by a Drexel fielding error, got the Pride up 3-0. Then, a two run double to right field brought it to 5-0. Drexel managed to hold off Hofstra till the fourth inning, where a bases-loaded walk forced another run across. They added two more runs the next inning with an RBI single to bring it to the final score, 8-0. Drexel moved on from this series to a doubleheader against Lafayette. Here, Drexel had a little bit more luck. In the first game, Lafayette was the first one to strike, with a home run by their second-at-bat. The Dragons responded in the bottom of that inning with a two-run shot of their own, off the bat of freshman Kristi DiMeo. Neither team scored again until the fifth inning when Drexel drove in three. A double to left field by sophomore Taylor Kent drove in freshman Reilly Jo Swanson, and back-to-back singles from Walker and sophomore Linda Rush drove in two more. The Leopards tried to come back from the deficit, scoring one in the seventh inning, but the Dragons came home with the win, 5-2. In game two, the Leopards again struck first, but this time, it was very short-lived, as DiMeo hit yet another home run, giving Drexel the lead at 3-1. In the third inning, DiMeo was joined by Rush in hitting home runs, increasing the lead to 5-1. A double to center field gave Lafayette a run in the fifth inning, but Drexel had an immediate response, as Ladrido hit an RBI double to drive in Bridgman. Lafayette got awfully close to taking back the lead with two doubles in the sixth inning and one in the seventh, but Drexel pulled away with the win with a final score of 7-6. The Dragons traveled to Lawrenceville, New Jersey, to play Rider University in a doubleheader April 26. The first game was close as the Rider edged the Dragons out by one home run with a final score for 5-4. In the second game, the Dragons took the win 14-10. The next series for the Dragons will be against Elon University in a doubleheader April 28 and a single game April 29. This will be the team’s first matchup with Elon this season, and the Dragons hope to take the series from a fellow Colonial Athletic Association conference team as the season nears an end.